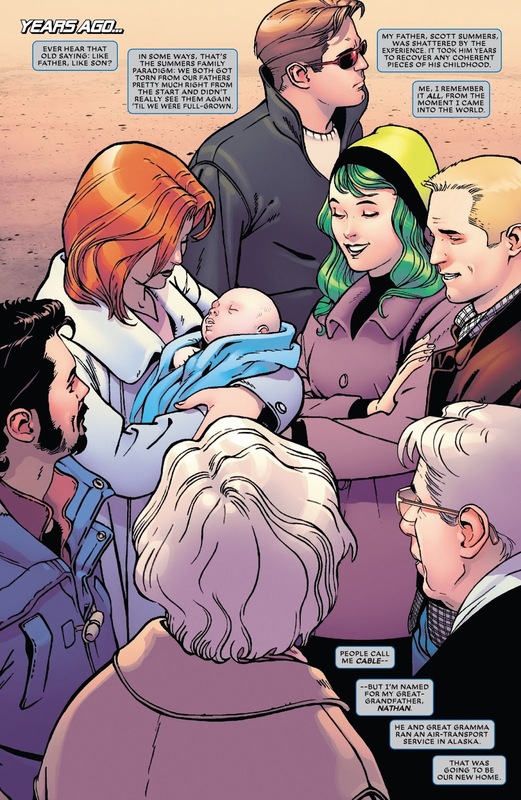 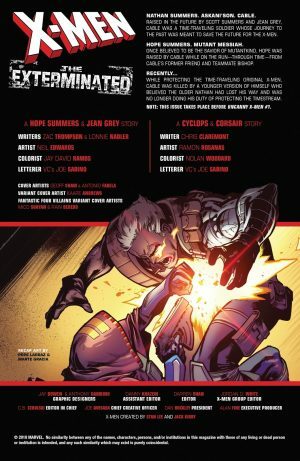 Marvel Comics Universe & The Exterminated #1 Spoilers & Review: Farewell To A Father & Son As Extermination #5, X-Force #1 & Uncanny X-Men Annual #1 Loom As X-Men Disassembled Roars?! 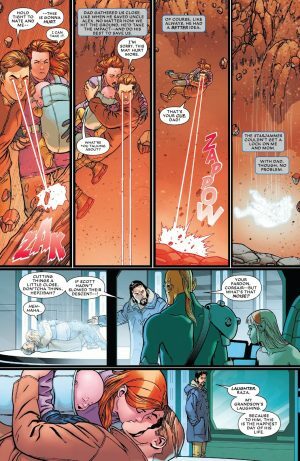 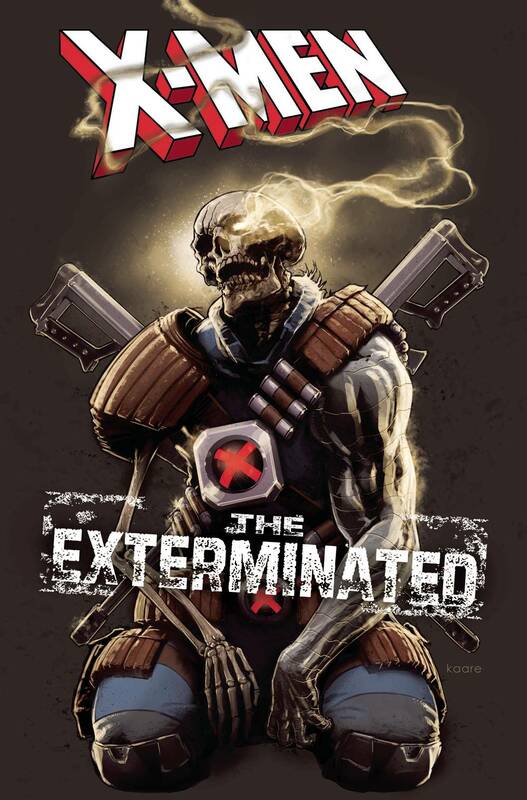 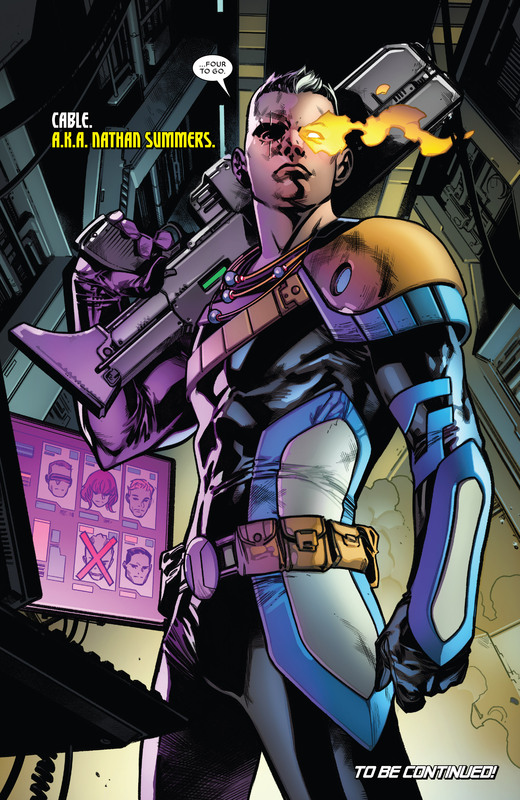 Marvel Comics Universe and The Exterminated #1 Spoilers and Review follows. 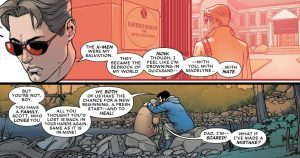 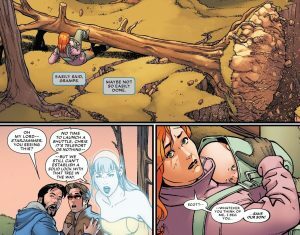 Farewell To Father and Son As Extermination #5, X-Force #1 and Uncanny X-Men Annual #1 Loom While X-Men Disassembled Roars?! 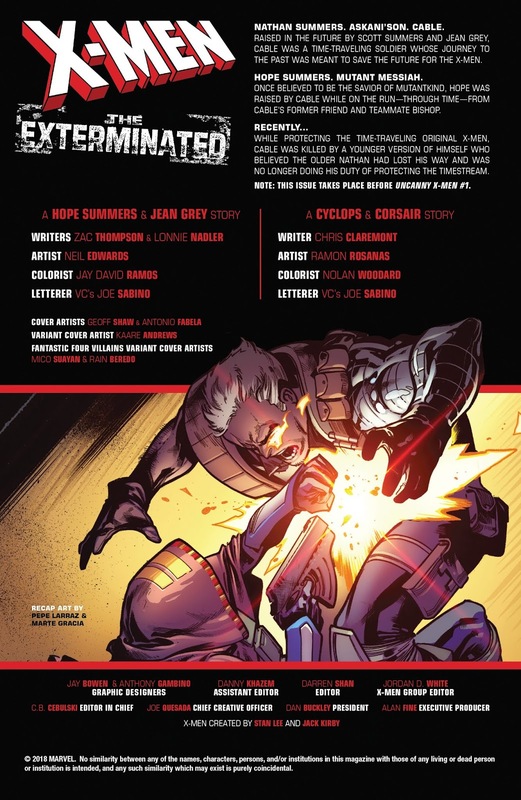 The book opens with the storyline catch-up and creators’ credits page. 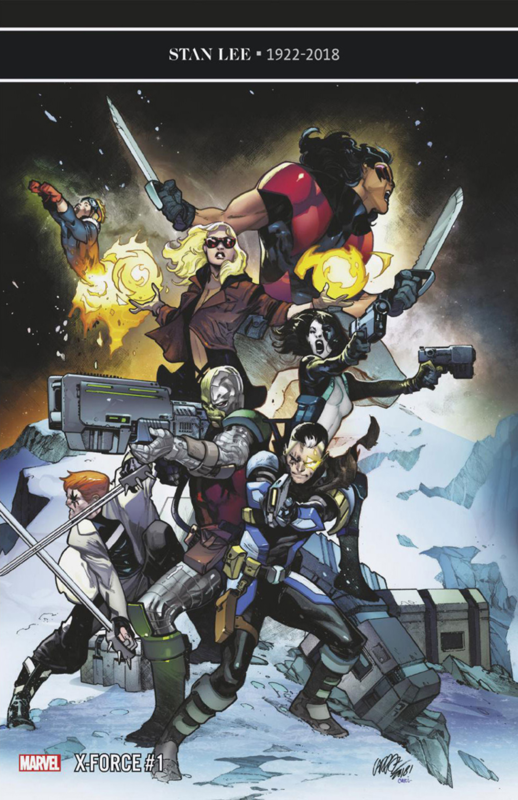 …who sticks around as part of a new X-Force title debuting on December 26, 2018. …grappling with his insecurities about being a dad. 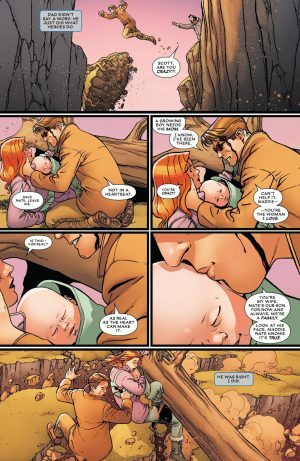 …and come to grips with being a father, husband and dad. 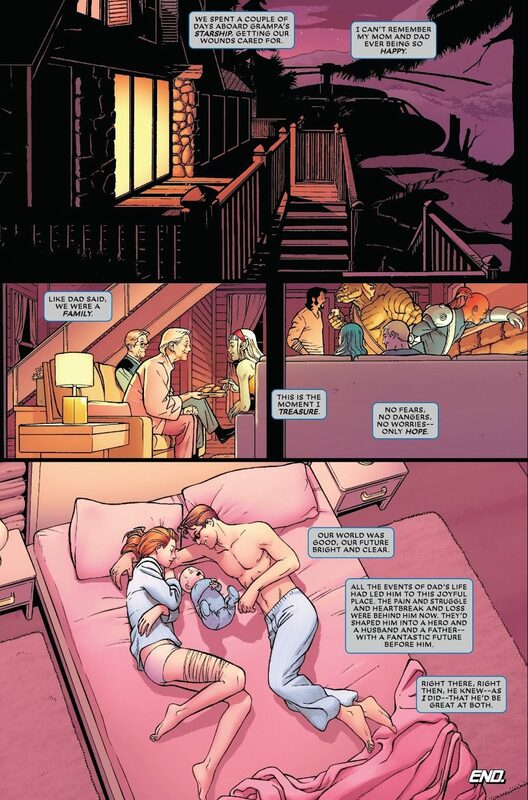 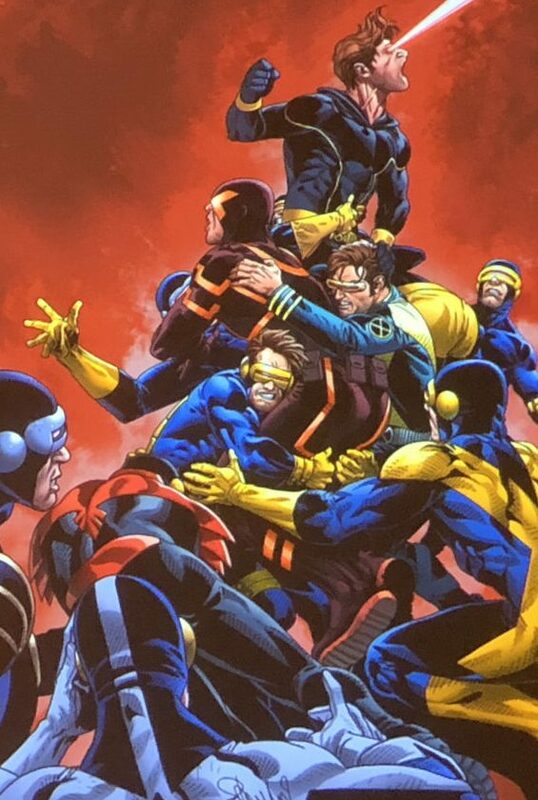 This is interesting since Cyclops is set to return from the dead in Uncanny X-Men Annual #1 out on January 23, 2019. 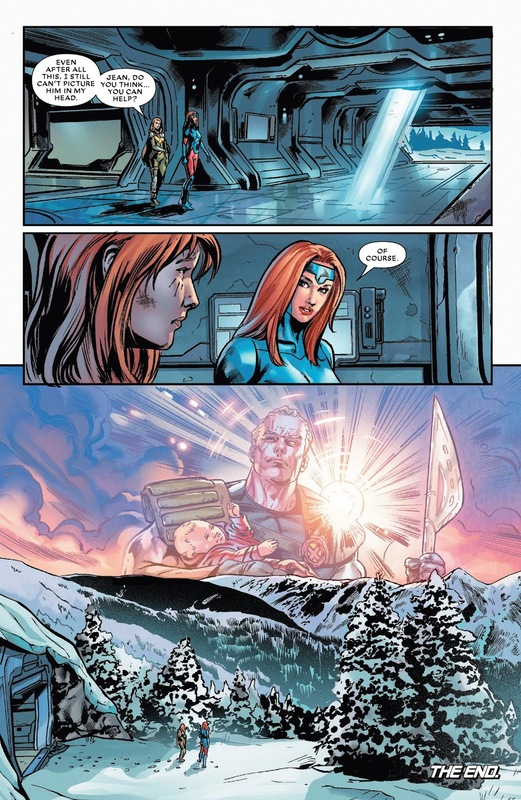 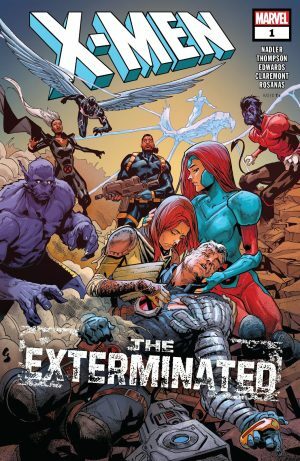 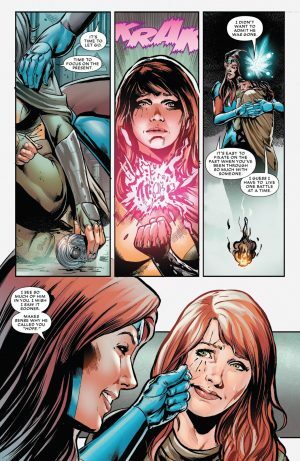 I was surprised that this book didn’t spoil Extermination #5 that is out on December 19, 2018. 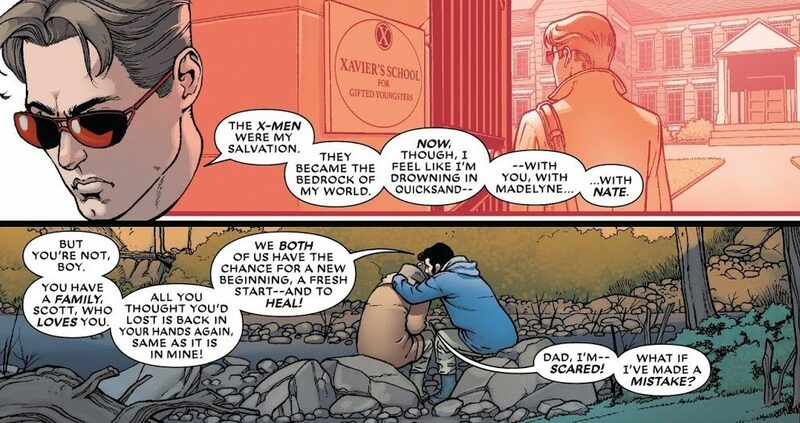 The two stories were touching showing the importance of Cable the man and father as well as Cable as the boy and son. Decent art too for two entertaining stories. 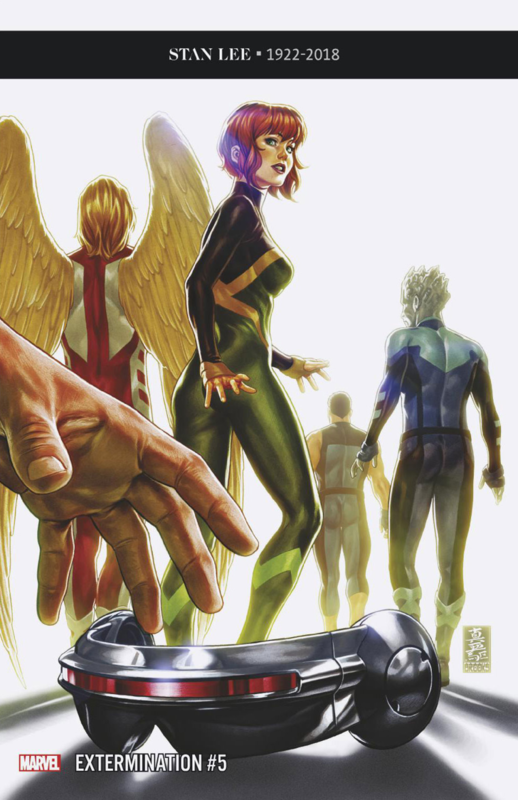 A GORGEOUS variant cover too. 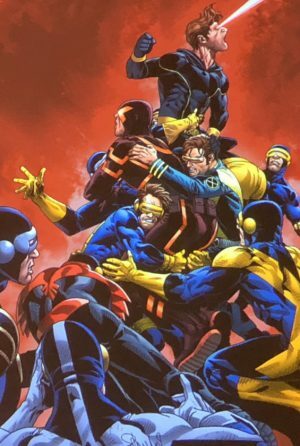 7 out 10.